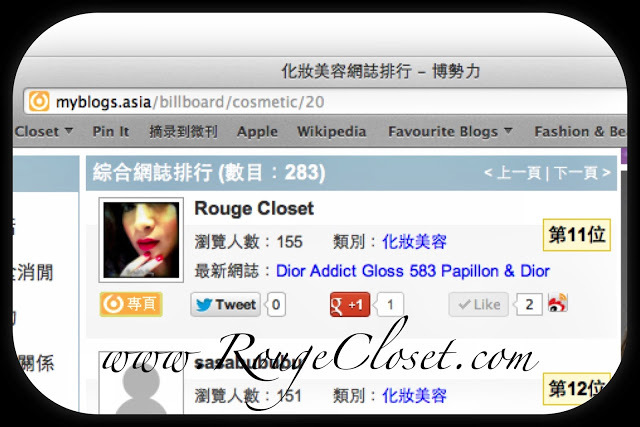 Just realised that my Rouge Closet has reached Rank 11 among beauty blogs. I am so grateful and touched. Thank you all dear friends’ support and encouragement. I will continue to share my beauty journey here. Stay tuned!